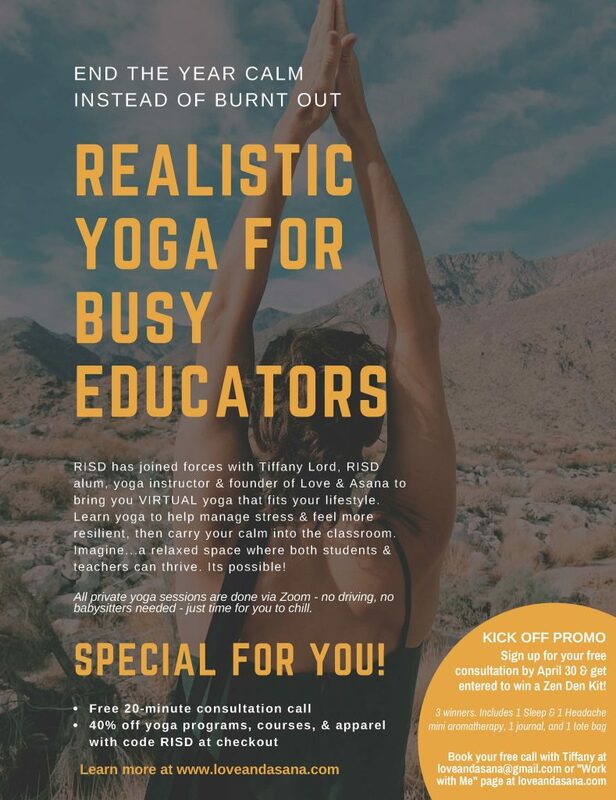 RISD Alumni Tiffany Lord brings you VIRTUAL yoga that fits your lifestyle! Special offer for RISD employees: Join LA Fitness online from now through 5/2/2019 with no initiation fees and $29.99 monthly dues per person for you and your family members. Membership includes access to all LA Fitness clubs within the state of Texas, excluding Signature Clubs. Two weeks of unlimited martial arts and self defense lessons for free! Fit Body Boot Camp is located at 1310 W Campbell Road, #116 Richardson 75080 – on the corner of Coit and Campbell. We offer teachers a free 2 week trial and the first month for just $99. In addition, we offer a 10% discount on our monthly membership options. Programs include unlimited 30 minute boot camp sessions, nutrition programming, motivation and accountability.